Hope In The Night has celebrated 20 years of late-night ministry. There are no in-studio guests on Hope In The Night, just June Hunt and her announcer and co-host, veteran Christian broadcaster Roger Manning. The “guests” on this program are the callers, and they're treated with careful respect, rather than being rushed, dismissed and replaced. 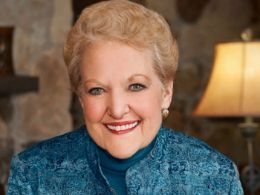 This compassionate approach is based on June's profound belief in the importance of every individual with whom she communicates, in person or on the air. If you would like to talk with June on the air about a situation in your life, call 1-800-NIGHT-17 (1-800-644-4817).